If you are in Lisbon and you want to go lunch (or dinner) in a deliciously special place, we have the perfect suggestion: the restaurant Open on Inspira Santa Marta Hotel. Our lunch at the Open Brasserie Mediterranean was joined by one of the sweetest and inspiring persons that we met during our stay, Filomena, who is the Sales and Marketing Director at Inspira, on such a pleasant and rich in flavors and experiences meal. On Open we're delighted with a contemporary touch to the typical mediterranean cuisine in which the products used are fresh, biologic and the result is delicious. 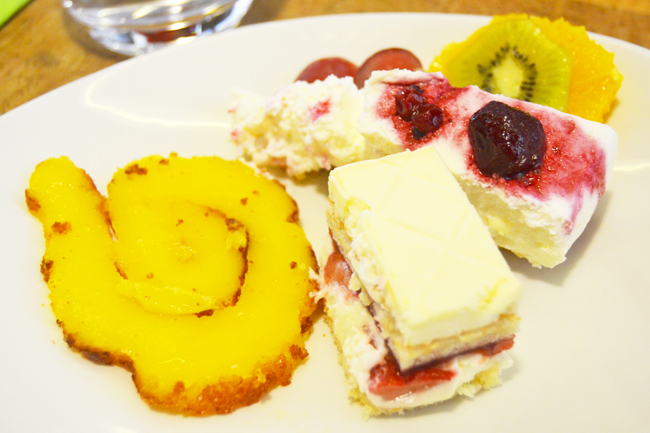 From monday to friday you can go for a buffet of salads and desserts, as also for a warm dish of your choice cooked in the moment by the chef. The water and a glass of wine are included on the buffet. Filomena and i went for the Mushroom Risotto and my mom for the Fillets of Seabass with vegetables couscous. From the beginning to the end is a delight to the palate. The nobel surprise on this lunch is to know that by purchasing a bottle of water Inspira - urban oasis you're giving €2 for the foundation PumpAid - Water for Life and helping who need the most. And the surprises don't end here...to win a dinner for two at Open you just have to like their Facebook Page and share this picture by clicking here. Good luck et bon appétit! Se estão em Lisboa e querem almoçar (ou jantar) num lugar deliciosamente especial, nós temos a sugestão perfeita: o restaurante Open no Inspira Santa Marta Hotel. O nosso almoço no Open Brasserie Mediterrânica foi acompanhado por uma das mais pessoas mais queridas e inspiradoras que conhecemos durante a nossa estadia, a Filomena, que é a Directora de Vendas e Marketing no Inspira, numa refeição tão agradável e tão rica em sabores e troca de experiências. No Open somos contemplados com um toque contemporâneo à típica cozinha mediterrânea onde os produtos usados são frescos, biológicos e o resultado delicioso. De segunda a sexta podem optar por um buffet de saladas e sobremesas, como também por um prato quente à escolha feito no momento pelo chef. A água e um copo de vinho estão incluídos no buffet. A Filomena e eu optamos pelo Risotto de Cogumelos e a minha mãe pelos Filetes de Robalinho com couscous de legumes. Do princípio ao fim é uma delícia para o palato. A nobre surpresa neste almoço é saber que ao comprarem uma garrafa de água Inspira - urban oasis estão a reverter €2 para a fundação PumpAid - Water For Life e a ajudarem quem mais precisa. E as surpresas não terminam por aqui...para ganharem 1 jantar a 2 no Open só têm que fazer um gosto na Página de Facebook e partilharem esta imagem ao clicarem aqui. Boa sorte et bon appétit! The Street of Santa Marta hides a valuable treasure: the Inspira. Elegantly inspiring, sophisticated, sustainable, the Inspira Santa Marta Hotel is a new and precious concept. Based on the essence the Feng Shui we find a Hotel that offer us a relaxing experience filled with positive energy. When we enter on the Inspira we found ourselves in this gracious hall that has a staircase style starway to heaven surrounded by bands of soft wood (where each cut tree was replaced by a new seed); by the Open Brasserie Mediterranean; by the Urban Bar...till we go up to our room. The chosen one was the Earth room, because the rooms can be of five different settings: water, fire, metal, tree and earth. Coincidences aside, since i am an earth sign, i felt like at home, in a balanced space, suitable for those who are "looking for peace, comfort, safety and harmony" and which lets the energy flow freely. Before the breakfast at the Open Brasserie Mediterranean - that you'll find out this week - i enjoyed an invigorating shower completed by the Omnisens products. This is why we like to wander through by Lisbon and find a place like this, a recent project that involves our senses and our hearts for its principles such as environmental, socials (the Inspira helps various foundations that you'll also have the chance to contribute with your help on a newest article) and economic (here support the local suppliers, the fair trading). It's a surprising LifeStyle experience for everything, marked by the mastery of who works there and to who we thank for receiving us like at home. 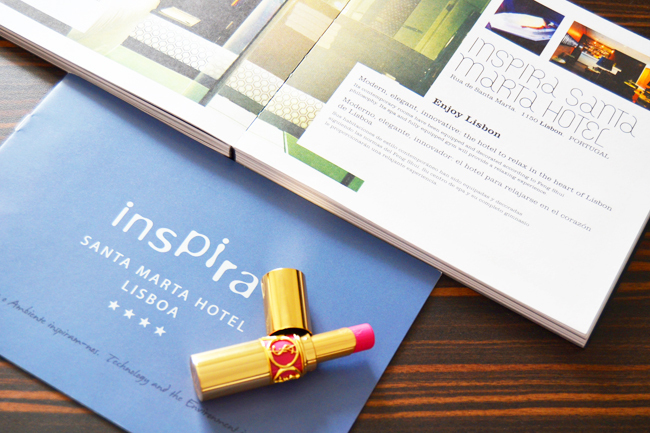 And the Inspira team enchanted us with a greeting card where they hoped that our stay where inspiring to the blog and yes, it was, absolutely inspiring and we hope that will be also for you, that inspire you to visit this urban oasis on the heart of Lisbon. A Rua de Santa Marta esconde um tesouro valioso: o Inspira. Elegantemente inspirador, sofisticado, sustentável, o Inspira Santa Marta Hotel é um conceito novo e precioso. Baseado na essência do Feng Shui encontramos um Hotel que nos proporciona uma experiência relaxante e repleta de energia positiva. Quando entramos no Inspira deparamo-nos com um hall gracioso que abrange uma escadaria estilo starway to heaven rodeado por faixas de madeira suave (onde cada árvore cortada foi substituída por uma nova semente); pelo Open Brasserie Mediterrânica; pelo Urban Ban...até que subimos ao nosso quarto. O eleito foi o quarto Terra, porque os quartos podem ser de cinco ambientes diferentes: água, fogo, metal, árvore e terra. Coincidências à parte, visto que sou de um signo Terra, senti-me como em casa, num espaço equilibrado, indicado para quem "procura sossego, conforto, segurança e harmonia" e que deixa fluir a energia livremente. Antes do pequeno almoço na Open Brasserie Mediterrânica - que vão ficar a descobrir esta semana - rendi-me ao duche revitalizante completado pelos produtos Omnisens Paris. É por isto que gostamos de passear por Lisboa e encontrar um lugar assim, um projecto recente que envolve os nossos sentidos e os nossos corações pelos seus princípios ambientais, sociais (o Inspira ajuda as mais variadas fundações que terão oportunidade de também contribuírem com a vossa ajuda num próximo artigo) e económicos (aqui apoiam os fornecedores locais, o comércio justo). É uma experiência de LifeStyle surpreendente pelo seu todo, marcado pela mestria de quem ali trabalha e a quem agradecemos por nos terem recebido como quem entra em casa. E a equipa do Inspira deliciou-nos com um cartão onde esperavam que a nossa estadia fosse inspiradora para o blog e foi sim, foi absolutamente inspiradora e esperamos que também seja para vocês, que vos inspire a visitar este oásis urbano no coração de Lisboa. The beginning of the week was spent between the Styling & Image Consultant on Atelier Styling Project (which i'm absolutely loving it!) and on the fabulous Inspira Santa Marta Hotel that you'll be able to find out this week. That's why on monday and on tuesday we hadn''t the chance to do new articles, however you already know that the news will be the double during the rest of the week. 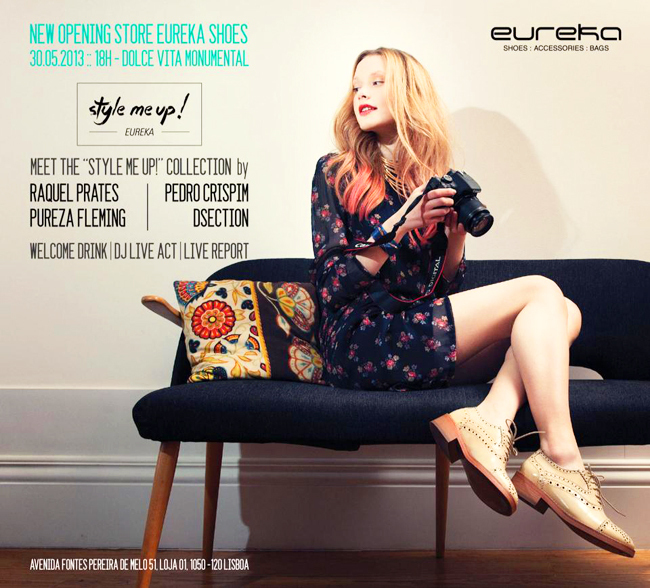 Like today's news: tomorrow we'll be waiting for you on the opening of Eureka store at Dolce Vita Monumental where you'll get to know (and buy) the dazzling slippers of our dearest Pedro for Eureka. Enjoy! O início da semana foi passado entre o curso de Styling & Image Consultant no Atelier Styling Project (que estou a adorar!) e no fabuloso Inspira Santa Marta Hotel que vão poder descobrir esta semana. Por isso na segunda e na terça não houve novos artigos, no entanto já sabem que as novidades serão a dobrar durante o resto da semana. Como a novidade de hoje: amanhã ficamos à vossa espera na abertura da loja Eureka no Dolce Vita Monumental onde podem ficar a conhecer (e comprar) os deslumbrantes slippers do nosso querido Pedro for Eureka. Enjoy! 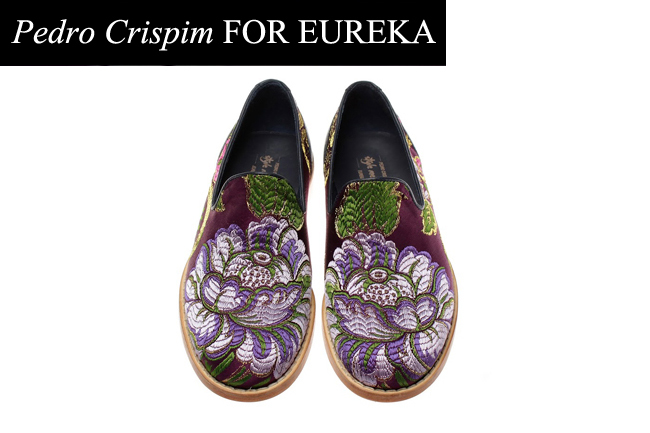 COUNTDOWN: 5, 4, 3, 2, 1...tomorrow the personalized slippers by our dearest Pedro will be available! 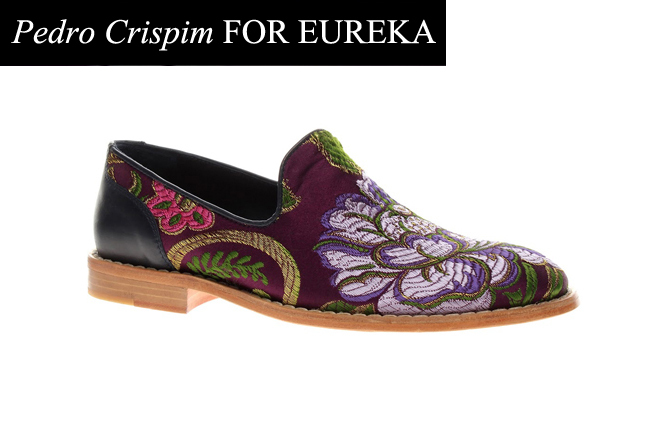 Pedro Crispim for Eureka on a limited edition, to find our at Eureka stores. More than fabulous! COUNTDOWN: 5, 4, 3, 2, 1...é já amanhã que os slippers personalizados pelo nosso querido Pedro vão estar disponíveis! Pedro Crispim for Eureka em edição limitada, para encontrar nas lojas Eureka. 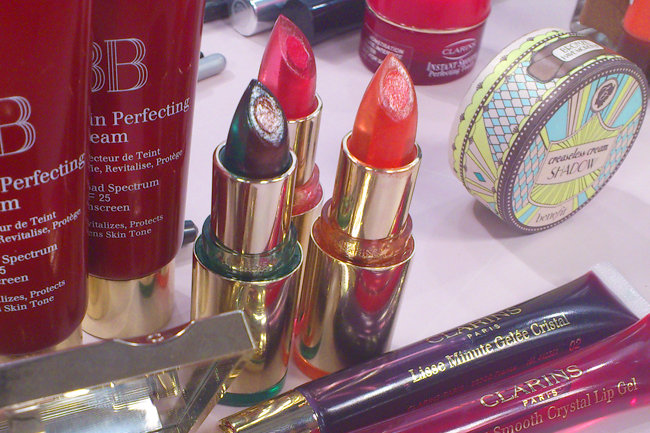 More than fabulous! 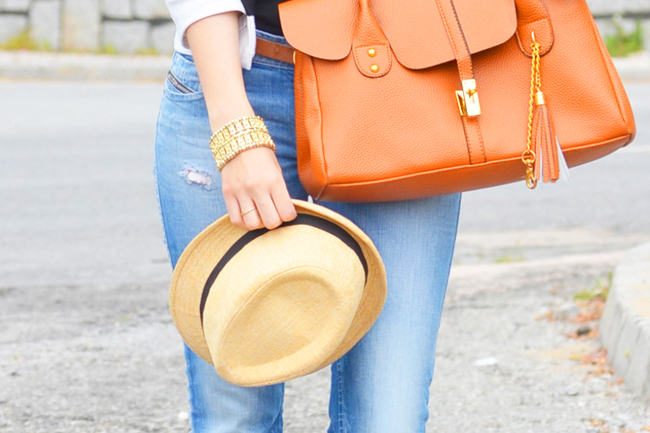 Of our collection of watches the Classic Cambridge by Daniel Wellington is on the top of our favorites. 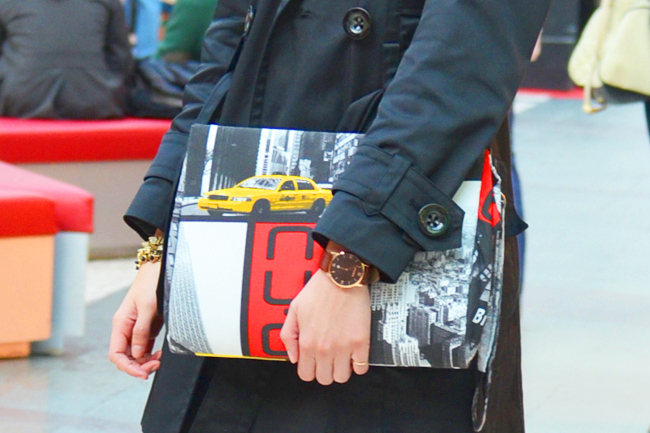 It's of a supreme finesse highlighting any look - from the most casual to the most chic - and it adapts to every occasion. 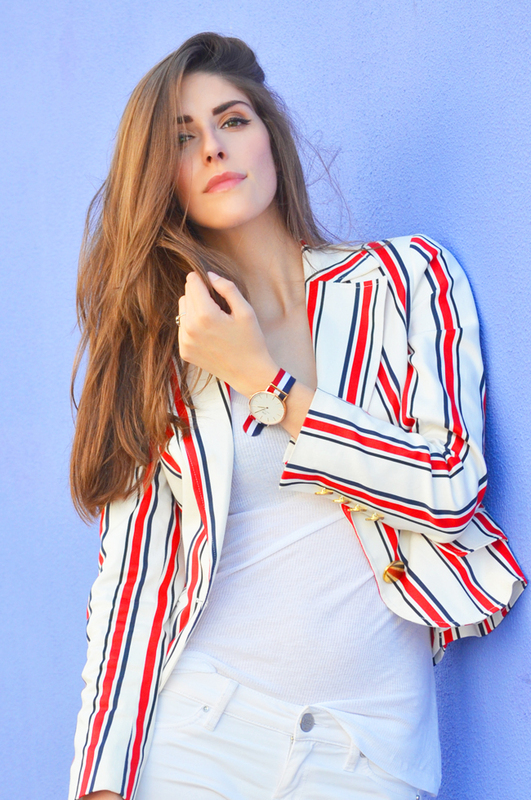 As i already told you in this previous article the Daniel Wellington is a brand that we admire for such a long time and so this collaboration is very special for us, to can give you the opportunity to know these preppy watches with a twist. Absolutely perfect. 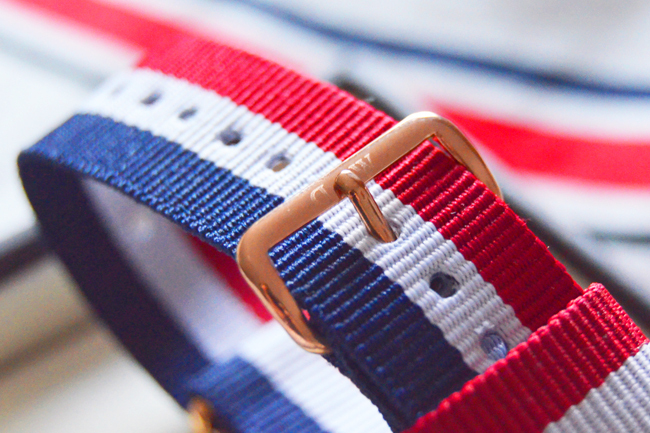 It would be to think that the creator of these objects of desire would be Daniel Wellington himself, but no, the Wellington was the inspiration behind this brand designed by Filip Tysander who offers us timeless elegance allowing us to vary the bracelet suiting to our DW mood. The cherry on the top of the cake is the goodie goodie that we have for you, with the code KATEFP you can enjoy a 15% discount on Daniel Wellington, you just have to click here et voilá! 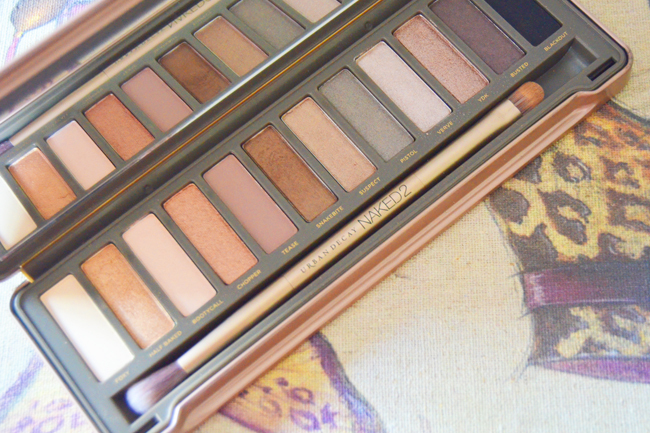 The NAKED2 by Urban Decay finally arrived to my makeup routine. I already had read / listened wonders about this palette and i confirm, is more than fantastic. A most wanted from the last couple of months that now become one of my daily essentials. 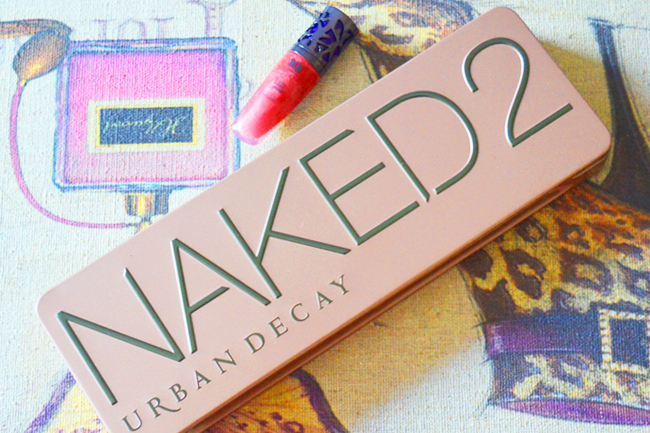 A NAKED2 da Urban Decay chegou finalmente à minha rotina de maquilhagem. Já tinha lido / ouvido maravilhas acerca desta paleta e confirmo, é mais que fantástica. Um most wanted dos últimos meses que agora passou a ser um dos meus essenciais diários. Tomorrow at 17h30 watch the segment Makeup Room of our dearest Sandra, the top makeup heroine of Atelier Room B, on the "Mais Mulher" show of SIC Mulher portuguese TV channel. 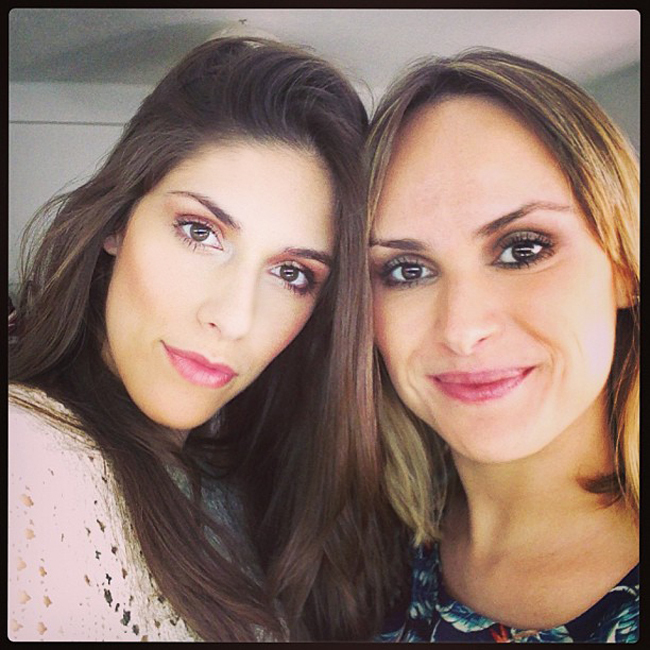 The super beautiful and worderful, Andreza and i were the models for the day and our makeup was absolutely divine. As always you can expect fantastic makeup tips and tomorrow the feature will be about the summer and the beach...besides you'll be able to win a line of Mary Kay's sun care products. We know, amazing right? Amanhã às 17h30 assistam à rubrica Makeup Room da nossa querida Sandra, a top makeup heroine do Atelier Room B, no programa "Mais Mulher" da SIC Mulher. A super linda e maravilhosa Andreza e eu fomos as modelos do dia e a nossa maquilhagem ficou absolutamente divinal. Como sempre podem contar com dicas fantásticas de maquilhagem e amanhã a rubrica será dedicada ao verão e à praia...para além de poderem ganhar um conjunto de solares Mary Kay. We know, amazing right? SPECIAL NEWS We start the week with fantastic news. 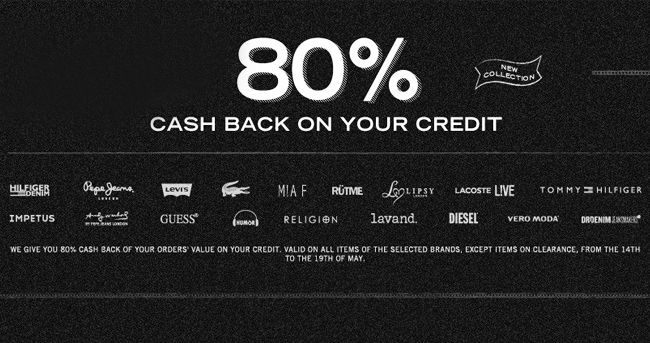 One of our favorite online stores, WESTRAGS, is with a campaign that gives you a 80% cash back till this sunday. And you ask, but what is this cash back thing? It's very simples: whenever you shop at WESTRAGS they deposit in your account (in the client's account on the online store) at least 30% of the value that you payed for the item(s). This is, imagine that the value is of €50 for example, you win €15 to spend on a new purchase. But till May 26 WESTRAGS give you 80%, yup, a-w-e-s-o-m-e! Of the same €50 you win €40 on a next purchase. It's case to say, what you're waiting for? This campaign is one of the best and is to enjoy right now because in addition to this our readers have the access to a code (that we'll publish as soon its available) that offers you a bag from Desigual! :) To find out more click here. SPECIAL NEWS Começamos a semana com uma novidade fantástica. Uma das nossas lojas online favoritas, a WESTRAGS, está com uma campanha de 80% de desconto em saldo até este domingo. E vocês perguntam, mas o que é o cash back/desconto em saldo? É muito simples: sempre que fazem compra(s) na WESTRAGS depositam na vossa conta (na conta cliente da loja online) pelo menos 30% do valor que pagaram pelo(s) artigo(s). Isto é, imaginem que o valor é de €50 por exemplo, ganham €15 para gastarem numa próxima encomenda. Mas até dia 26 a WESTRAGS deposita 80%, yup, a-w-e-s-o-m-e! Dos mesmos €50 ganham €40 numa próxima compra. É caso para dizer, de que é que estão à espera? Esta campanha é das melhores e de aproveitar agora mesmo porque para além disto os nossos leitores têm acesso a um código (que iremos publicar assim que estiver disponível) que vos oferece um saco da Desigual! :) Para saberem mais cliquem aqui. 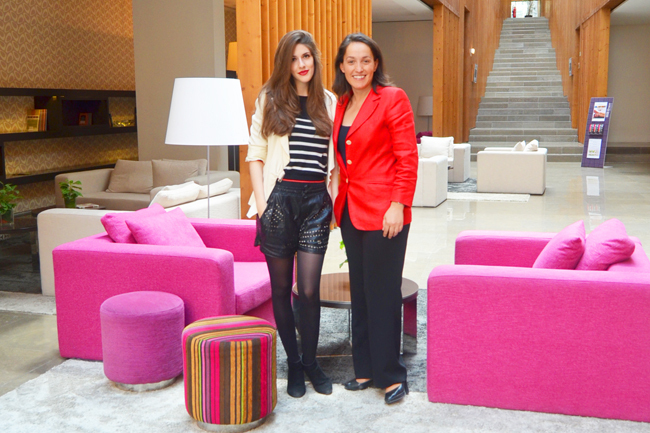 After the opening of the SoSignature, Pedro and Sofia continue to add successes. This time with the Rubrika that you can visit on Fórum Viseu. A store filled with several brands since their own SoSignature, Pretty Bunnies (which you already saw me wearing here), extilus or Pedra Lua. Yesterday on the Rubrika's event we get to know some of the proposals of the store on a very relaxed and fun show in which the real star was Bia, the cutie pie of Pedro and Sofia, isn't she adorable? We suggest you that you can discover Rubrika the quickest possible leaving you with their motto but with a twist "Rubrika, because value pieces need a signature" and because value pieces need you. Depois da abertura da SoSignature, o Pedro e a Sofia continuam a somar sucessos. Desta vez com a Rubrika que podem visitar no Fórum Viseu. Uma loja repleta de variadas marcas desde a própria SoSignature, Pretty Bunnies (que já me viram a usar aqui), extilus ou Pedra Lua. Ontem no evento da Rubrika ficamos a conhecer algumas das propostas da loja num desfile bastante descontraído e divertido onde a verdadeira estrela foi a Bia, a bebé liiinda do Pedro e da Sofia, isn't she adorable? Sugerimos que descubram a Rubrika o mais rapidamente possível deixando-vos com o mote da mesma mas com um twist "Rubrika, because value pieces need a signature" and because value pieces need you. Today's afternoon was spent on the event and opening of the store Rubrika from one of the sweetest couples that we know, Pedro and Sofia. In the next article you'll be able to discover the Rubrika on the inside, but for now here is my outfit: ideal for these gray days that insist to show up in full springtime with my trench-coat très Casablanca. Hoje a tarde foi passada no evento e abertura da loja Rubrika de um dos casais mais queridos que conhecemos, o Pedro e a Sofia. No próximo artigo vão poder descobrir a Rubrika por dentro, mas por enquanto aqui fica o meu outfit: ideal para os dias cinzentos que teimam em aparecer em plena época primaveril com o meu trench-coat très Casablanca. "Journals for the loves of your life": Fashion, Travel, Cooking, Cinema, Chocolate...whatever be the passion of our life we can have a matching Moleskine. Inside my bag you can always find a Moleskine, it's one my longtime companions and now i found "my" perfect Moleskine from the line Passions: the Style Journal. Oh là là, now yes is about to start our Style journey! "Journals for the loves of your life": Moda, Viajar, Culinária, Cinema, Chocolate...seja qual for a paixão da nossa vida temos um Moleskine a condizer. Na minha carteira podem sempre encontrar um Moleskine, é um dos meus companheiros de longa data e agora encontrei o "meu" Mokesline perfeito da linha Passions: o Style Journal. Oh là là, agora sim vai começar a nossa Style journey! After the success of the first 1 style / 4 looks here is a second round. 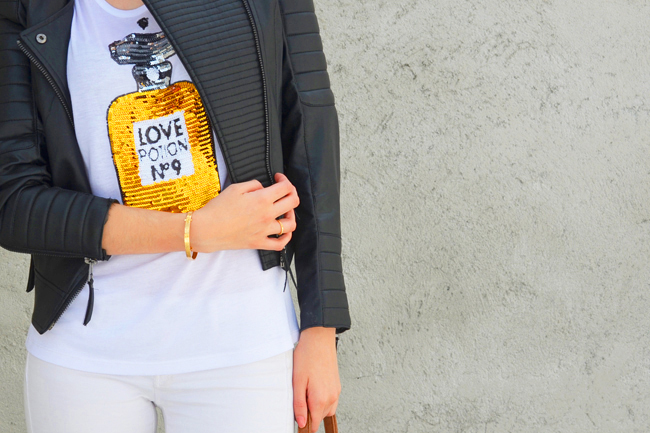 If you read our blog for a while now you already know how much i adore leather pieces or with details in. These pants by Mango are one my favorites and transversal to every season of the year: both are ideal for a late spring afternoon combined with a fluid blouse under a blazer as on a cold winter day with a warm fur coat. Unlike the first 1/4 in which i didn't have any favorite look i guess that this time i have: the number 1. Which one is yours? Later this week expect some new looks and articles on the weekend (as you know we didn't took our mac to Lisbon being unable to update monday and tuesday, but hey babes, you can always count with the regular articles :) ). Depois do sucesso do primeiro 1 style / 4 looks aqui está uma second round. Se já lêem o nosso blogue há algum tempo sabem o quanto adoro peças em pele ou com detalhes em. Estas calças da Mango são uma das minhas favoritas e transversais a qualquer estação do ano: tanto são ideias para um final de tarde de primavera combinadas com uma blusa fluida e um blazer como num dia gélido inverno. À diferença do primeiro 1/4 em que não tinha nenhum look preferido julgo que desta vez tenho: o número 1. Qual é o vosso? Ainda esta semana esperem novos looks e artigos no fim de semana (como sabem não levamos o mac para Lisboa não conseguindo actualizar segunda e terça, mas hey, podem sempre contar com os artigos habituais :) ). The lack of posts on monday and tuesday was due to the fact that KATEFP is now taking the course of Styling & Image Consultant on Atelier Styling Project and and on Atelier Room B of our dearest Pedro Crispim and Sandra Almeida. I started on monday and i'm absolutely loving it more and more, Pedro and Sandra are the crème de la crème in our portuguese Fashion industry and is truly a honor to the chance to learn with the best. If you're thinking in taking a coursr of Styling, Image Consultant or Makeup in our country this is definitely right place. The One. 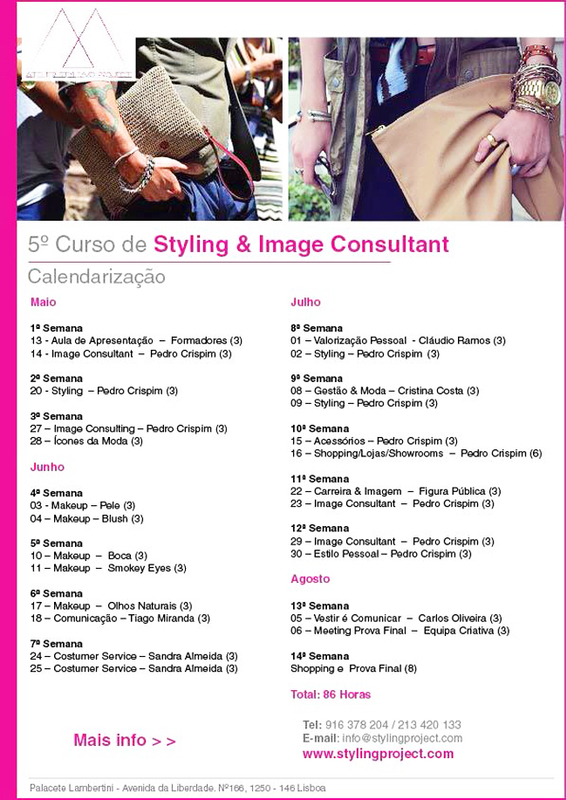 Also today we published the calendar of the 5th edition of the Styling & Image Consultant course for you get to know it better and who knows make you decide to sign up on the next edition, as the Makeup course that is about to start (and in which you can still sign up). You can find both calendars by clicking here and here. 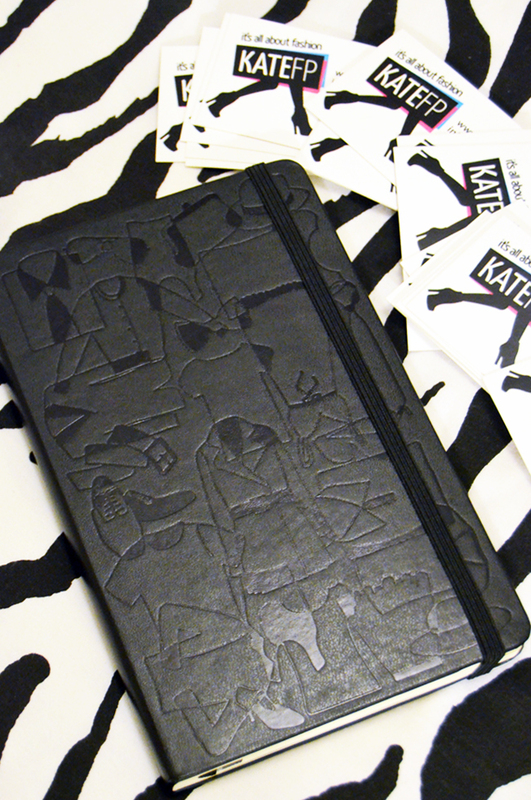 To follow all of our news and this new Fashion journey is on @katefpofficial. 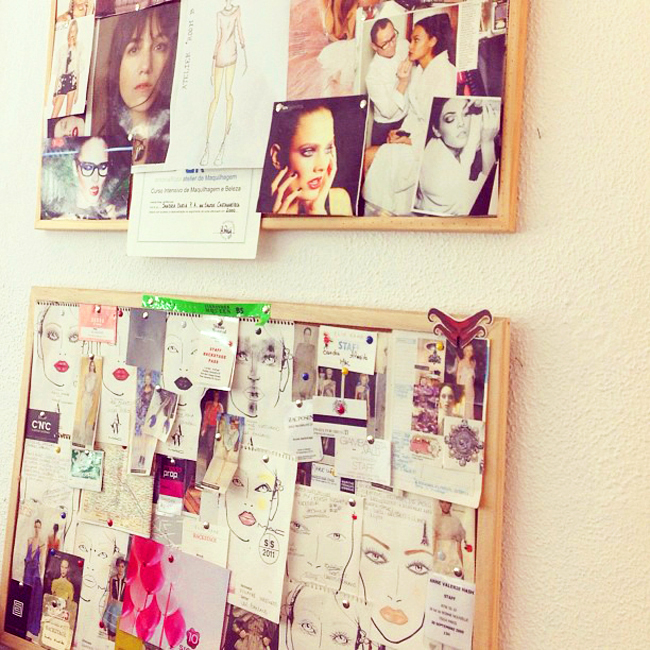 A ausência de posts na segunda e na terça deveu-se ao facto de o KATEFP estar a realizar o curso de Styling & Image Consultant no Atelier Styling Project e no Atelier Room B dos nossos queridos Pedro Crispim e Sandra Almeida. Comecei na segunda e estou a adorar cada vez mais, o Pedro e a Sandra são o crème de la crème na nossa indústria da Moda nacional e é uma verdadeira honra podermos aprender com os melhores. Se estão a pensar em tirar um curso de Styling, Consultoria de Imagem ou Maquilhagem no nosso país este é definitivamente o lugar certo. The One. 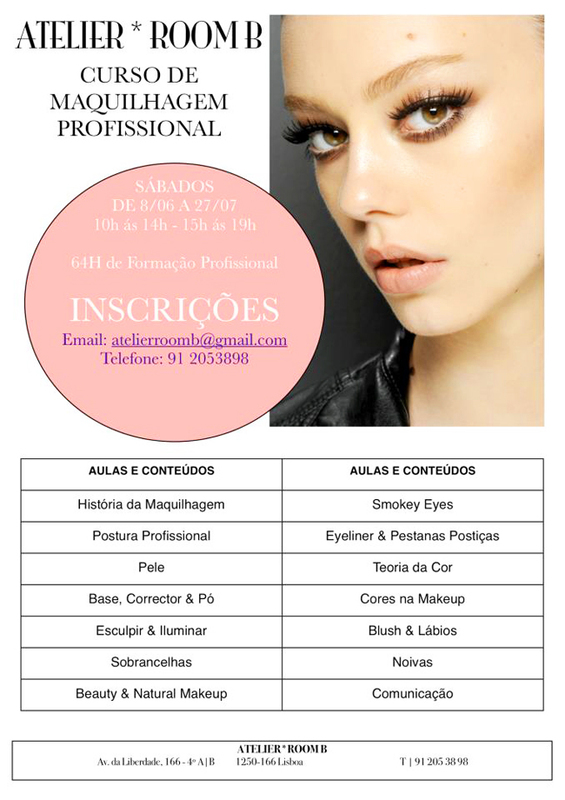 Também hoje publicamos o calendário da 5ª edição do curso do Styling & Image Consultant para ficarem a conhecer melhor e quem sabe inscreverem-se no próximo, como o curso de Makeup que está prestes a começar (e no qual ainda se podem inscrever!). Podem encontrar ambos os calendários ao clicarem aqui e aqui. 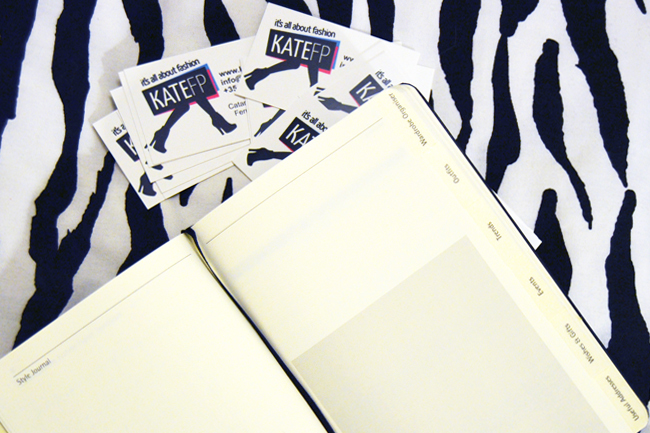 Para seguirem todas as nossas novidades e esta nova Fashion journey é em @katefpofficial. 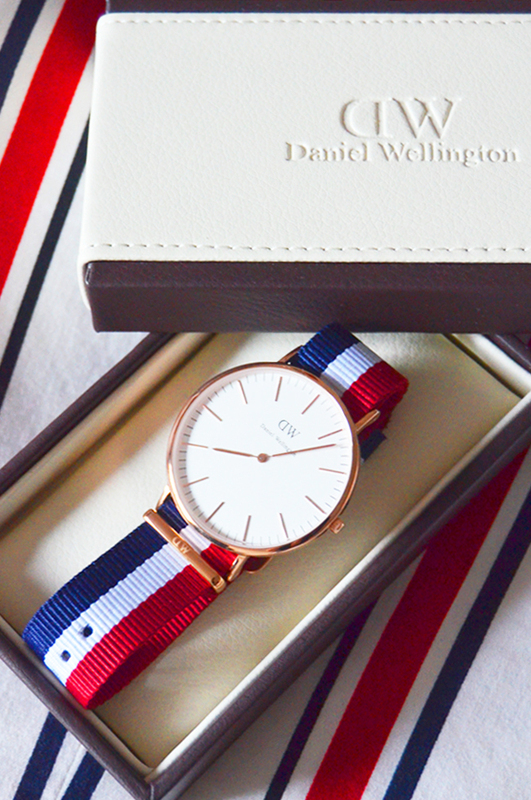 The Daniel Wellington watches are a expression of time, of style and of timeless elegance. It is a brand that we admire since its start and being now able to collaborate together is simply wonderful. Stay tuned (and on time) to the special Daniel Wellington article that is to be released soon with the Classic Cambridge on our wrist and with a special goodie to the best readers in the world. Os relógios Daniel Wellington são uma expressão de tempo, de estilo e de elegância intemporal. É uma marca que admiramos desde a sua existência e podermos colaborar agora juntos é simplesmente maravilhoso. Fiquem atentos (e à horas) ao artigo especial Daniel Wellington que está para breve com o Classic Cambridge no nosso pulso e com um miminho para os melhores leitores do mundo. When i visited for the very first time the Chanel on Rue Cambon nº21 in Paris my heart beat incessantly and i whirled around was the pure bliss, it was an emotional moment being next to something that i admire so much, that i aspire so much and that i presume that for us truly Fashion lovers is something almost inexplicable. Not only for their objects of desire and masterpieces, but is for everything that the brand represents in our industry, it's an icon, it's mark. It's Chanel. Isn't a secret that one of my biggest dreams is to meet our Fashion Kaiser, Monsieur Karl Lagerfeld...i have an endless list of dreams i know, and this is one of them. 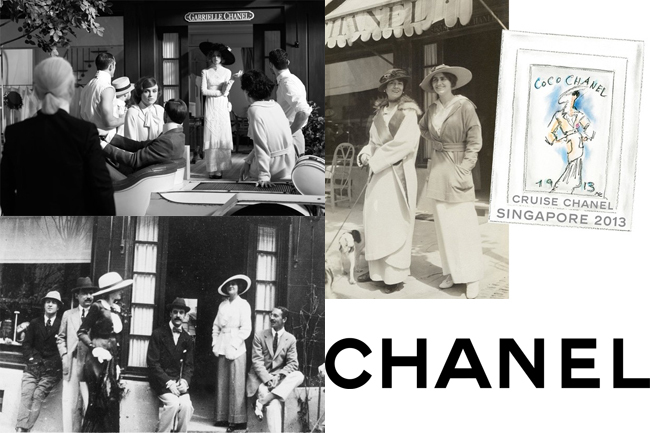 Karl surprise us year after year with his mastery, is a genius with G. Gabrielle Chanel has the best heir to continue her legacy and who after hundred years of opening her first store, in Deauville, constantly delight us with nothing more than utopia. As in this short film that celebrates the hundredth anniversary of the first Gabrielle Chanel boutique and which ends with the motto "I love this new designer Chanel. It's very modern. I wonder...how will it be in hundred years from now?" An empire Chanel à la Lagerfeld. Quando visitei pela primeira vez a Chanel da Rue Cambon nº21 em Paris o meu coração palpitava incessantemente e rodopiei de plena felicidade, foi um momento emocional estar junto a algo que tanto admiro, que tanto aspiro e que presumo que para nós verdadeiros amantes de Moda é algo quase inexplicável. Não é só pelos seus objectos de desejo e obras primas, é por tudo o que representa na nossa indústria, é um ícone, um marco. É Chanel. Não é segredo que um dos meus maiores sonhos é conhecer o nosso Kaiser da Moda, Monsieur Karl Lagerlfed...tenho uma lista de sonhos interminável é certo, e este é um deles. Karl surpreende-nos ano após ano com a sua mestria, é um génio com G. Gabrielle Chanel tem o melhor herdeiro para continuar o seu legado e que cem anos após a abertura da sua primeira loja, em Deauville, deleita-nos constantemente com nada mais que a utopia. Como nesta curta-metragem que celebra o centésimo aniversário da primeira boutique Gabrielle Chanel e que termina com o mote "I love this new designer Chanel. It's very modern. I wonder...how will it be in hundred years from now?" Um império Chanel à la Lagerfeld. I am an unconditional admirer of Domenico and Dolce, of the Dolce&Gabbana wonderful and genial duo. If i could i guess that i would have all of their pieces in my closet, like this "Dolce" in raffia and leather that combines the fabulous sicilian style and artisanal, elevating it to a renewed status. 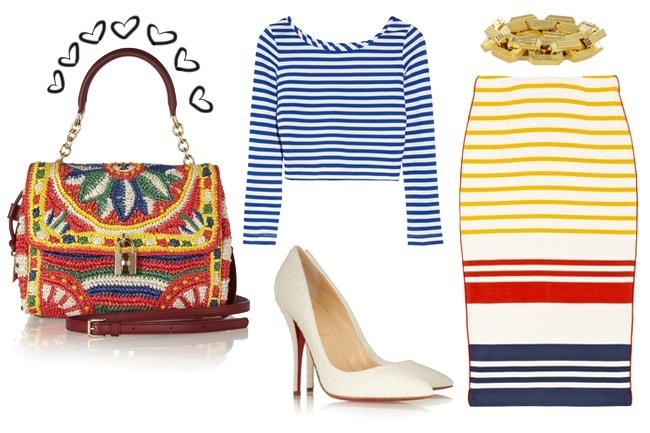 And if before the raffia bags were the typical choice for the beach now are more, but so much more than "just" that and this "Dolce" is perfect for a summery look in the city. Sou uma admiradora incondicional do Domenico e do Stefano, do maravilhoso e genial duo Dolce&Gabbana. Se pudesse acho que teria todas as suas peças no meu closet, como esta "Dolce" em ráfia e pele que combina o fabuloso estilo siciliano e artesanal, elevando-o a um estatuto renovado. E se antes as carteiras em ráfia eram a escolha típica para a praia agora são muito, mas muito mais do que "apenas" isso e esta "Dolce" é perfeita para um look estival em meio urbano. Shanghai is fascinating...and is at a distance of a hint of luck. Discover this vibrant city and the new amazing collection of Hugo Boss on a unforgettable show by entering on this competition. Shanghai é fascinante...e está à distância de uma pitada de sorte. Descubram esta cidade vibrante e a nova fantástica colecção da Hugo Boss num desfile inesquecível ao entrarem nesta giveaway.